Certified. 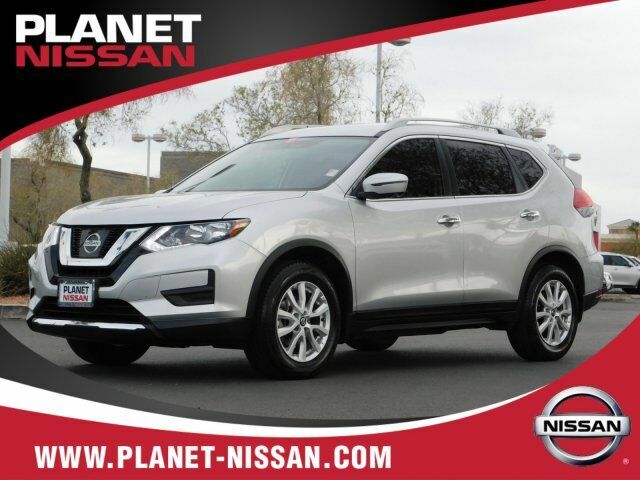 2017 Nissan Rogue SV CARFAX One-Owner. Clean CARFAX. Silver SV FWD CVT with Xtronic 2.5L I4 DOHC 16V Fully Serviced, Alloy Wheels, Backup Camera, Bluetooth, Climate Package, Heat Package, Multimedia Package, Navigation System, Blind spot sensor: Blind Spot Warning (BSW) warning, Brake assist, Navigation System. Internet Sale Price is not including taxes and fees. Dealer fees include: $599 Doc Fee, $29.25 Title Fee and $48 Smog Fee. Nevada Sales tax is 8.25%, this will apply if you are registering the vehicle in Nevada. If you are registering the vehicle in another state you are responsible for that state's sales tax rate if applicable.